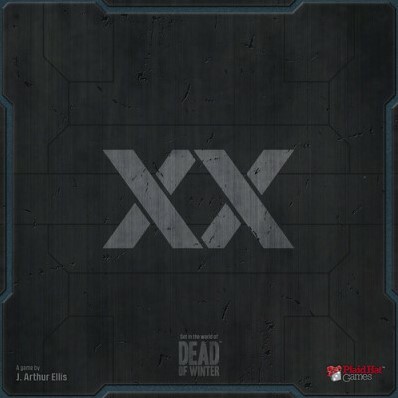 Raxxon is a 1-4 player cooperative card game set in the Dead of Winter universe at the start of the zombie apocalypse. Players each choose one of six different specialists assisting Raxxon with the evacuation of healthy citizens from among the sick. Citizens take the form of face-down square cards in a grid. Through game actions, these can be flipped to reveal whether they are sick or healthy. There are various types of sick and healthy cards, each triggering different effects when flipped or killed. Flip too many Chaotic sick and you'll add more citizens to the crowd, or even end the round prematurely. Killing off the healthy can have similar negative effects.